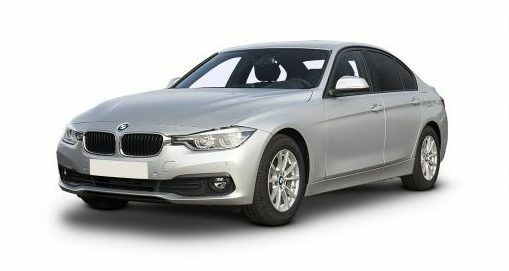 The BMW 3 Series Saloon’s rear-wheel drive, great performance across all engine types and improved suspension could be the reason it’s a familiar sight on UK roads and known as the ultimate driver’s car since the 70’s. The facelift it received back in 2015 has only enhanced its attraction for those who are serious about driving pleasure. The sharply cut nose of the 3 Series saloon hints at the powerful engine options under the bonnet that command the smooth and supple ride. Nicely weighted steering gives excellent responsiveness and a great balance between limber suspension and run flat tyres make for a tactile and enjoyable drive on any road. Both diesel and petrol engines combine performance with competitive emissions while never compromising on handling or pace. Chrome finishers on exhaust pipes, 17” light alloy wheels and heated electrically adjustable mirrors and kidney grille with chrome and black vertical slats finish the exterior with a feel of bold dynamics and luxury.